Musician Findley Webster already had a strong web presence utilising several social media platforms that included Twitter, Facebook, SoundCloud, Reverbnation and YouTube. What she now needed was a place to tie all these together as well as a one stop shop for fans to sample her latest tracks and read her blog. 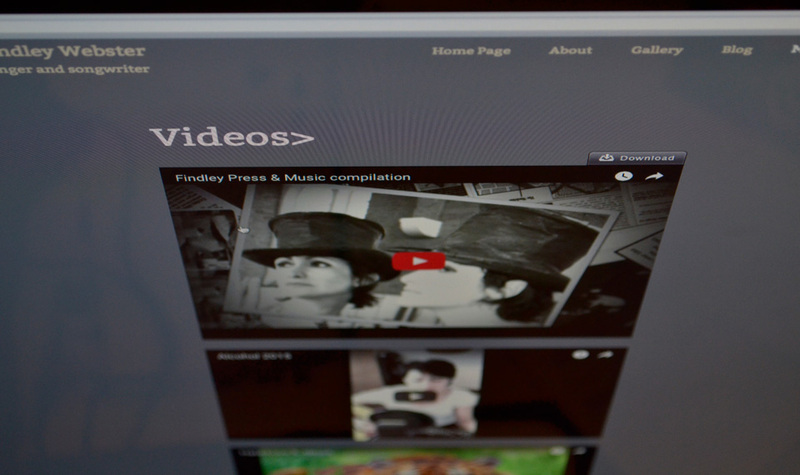 The site was designed to fit Findley Webster's unique image and works on all screen sizes. Utilising the Wordpress CMS, it's simple to go in and make updates to both the blog and the sample music pages as well as other information.